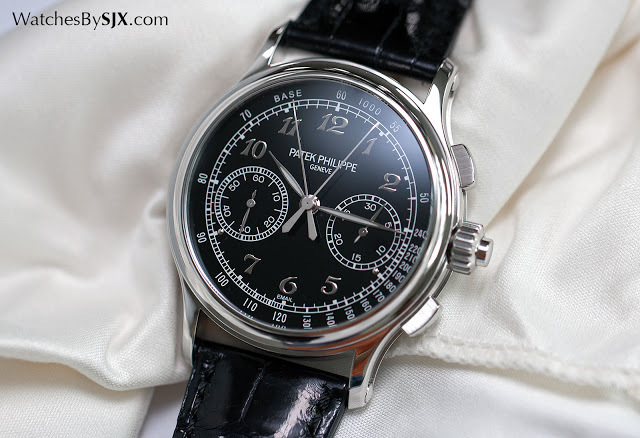 Equipped with the gorgeous and modern calibre CH 29, the recently introduced reference 5370P is a rattrapante chronograph that's respectful of classic Patek Philippe design, featuring a black enamel dial with Breguet numerals. 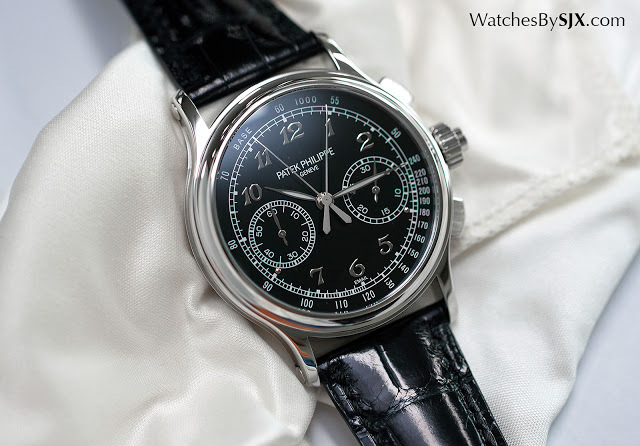 Introduced at Baselworld 2015, the reference 5370P-001 is the first pure split-seconds chronograph by Patek Philippe equipped with an in-house movement. 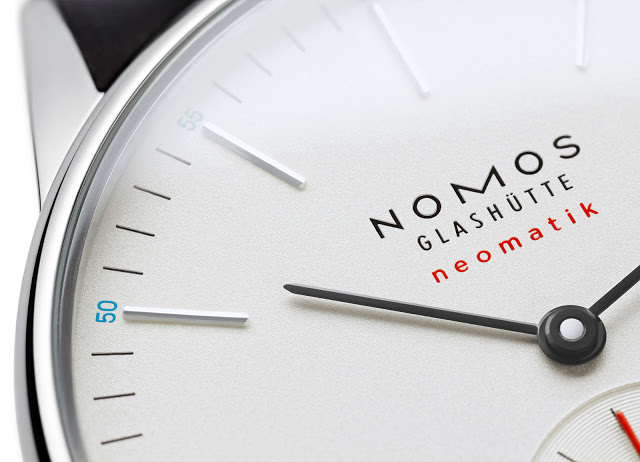 Clean and traditionally styled on the front – the dial is black grand feu enamel – it’s magnificent on the back, with the calibre CHR 29-535 PS revealed in all its glory. The the reference 5370P is focused and free of distractions, both visually and functionally. 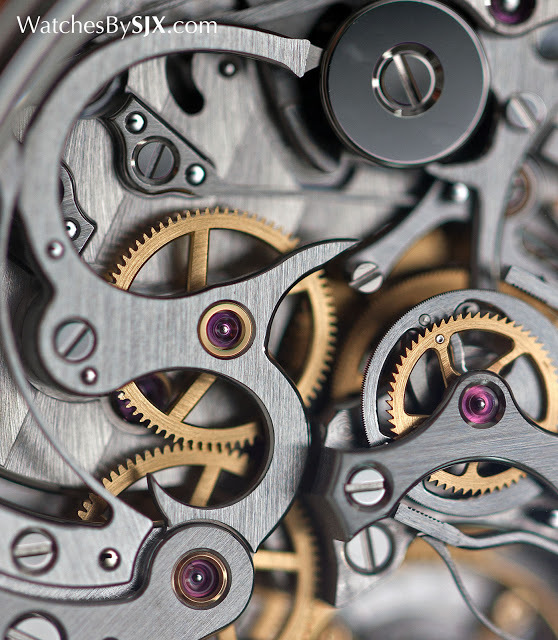 Unlike the reference 5204P, which has a split-seconds chronograph as well as a perpetual calendar, the 5370P does only one thing, and it does it well. 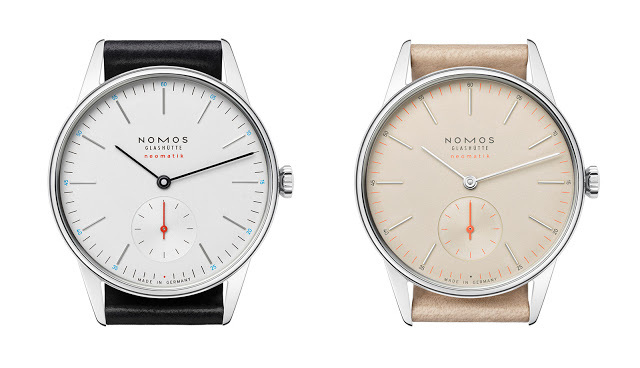 Just like the reference 5170G chronograph introduced earlier this year, the 5370P split-seconds is conservative in appearance, with a restrained aesthetic that will appeal to the traditionalists. 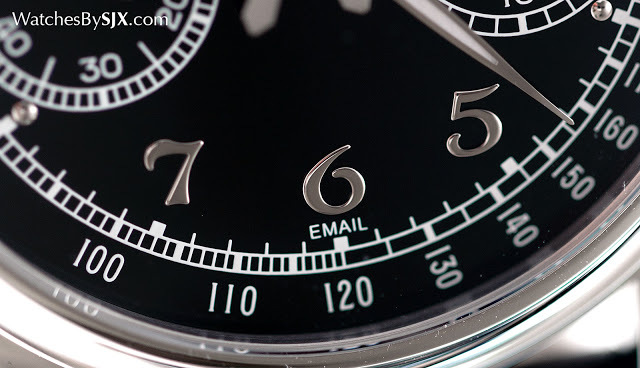 The dial is a glossy black enamel – not lacquer but vitreous enamel fired in an oven – with applied Breguet numerals in white gold. Black enamel is uncommon, being more difficult to fabricate than white enamel. 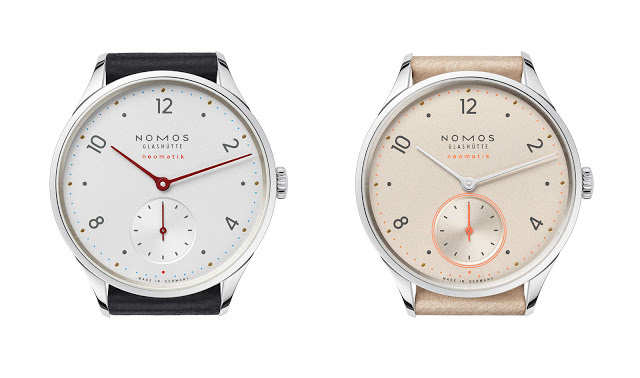 And like most other enamel dials on pricey watches, the dial base is actually a disc of 18k gold. 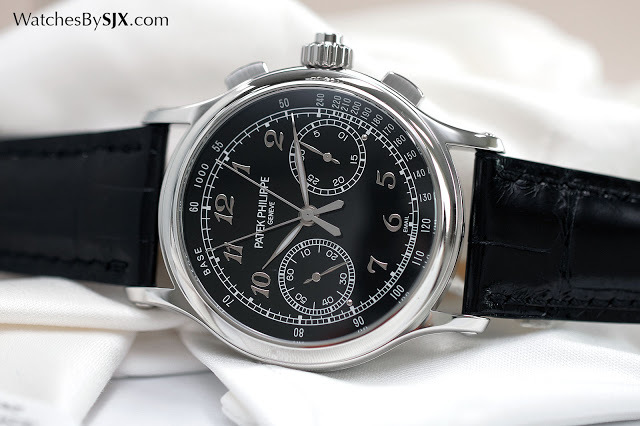 Breguet numerals are of course a great favourite of Patek Philippe enthusiasts, and not particularly common on complicated Patek Philippe watches. 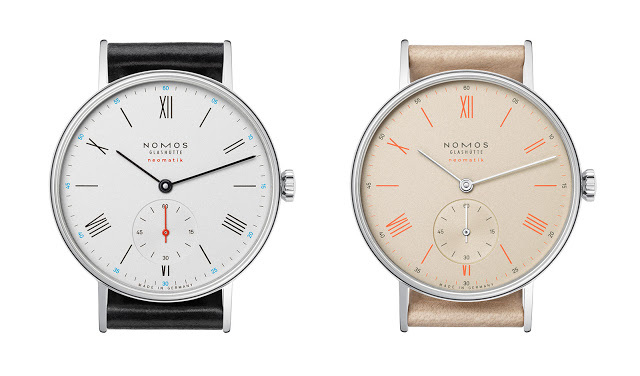 They tend to be found to be found on one-off pieces or limited editions, like the 175th Anniversary London collection. 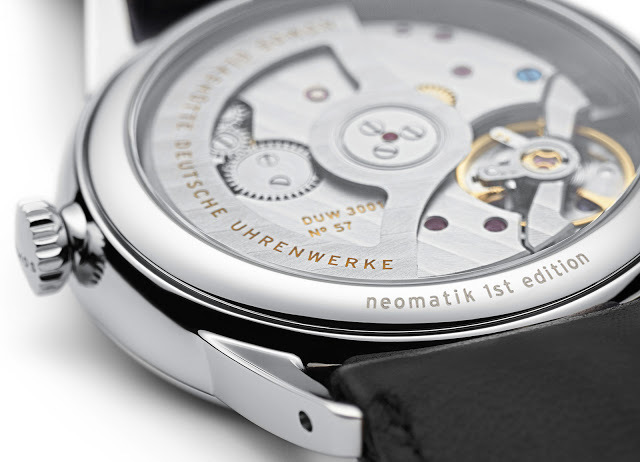 As is typical for a dial with Breguet numerals, the hands are feuille or leaf-shaped. 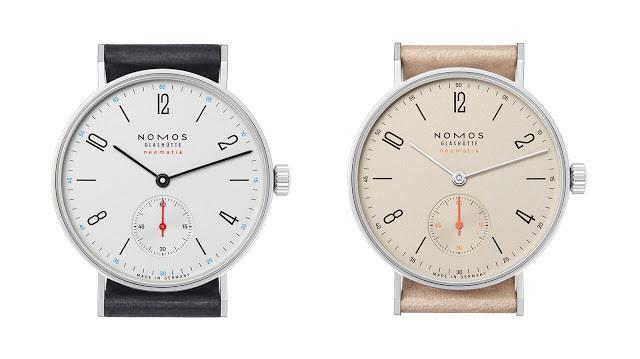 The luminous filling on the hands is somewhat out of place since there is no Super-Luminova on the dial. 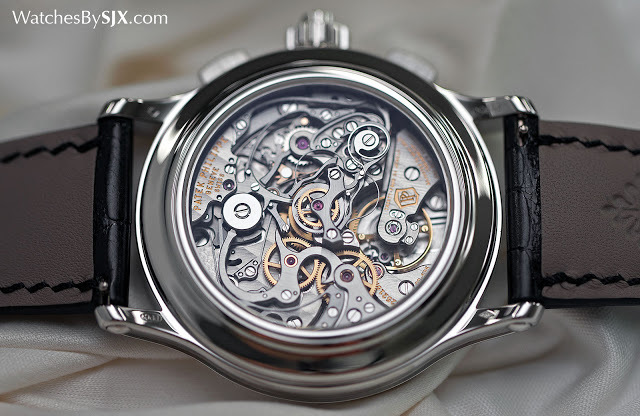 And the twin central seconds hands are of the exact same type as found on the other Patek Philippe chronographs with the CH 29 movement, a type that is not particularly attractive, being flat with a wide tail. 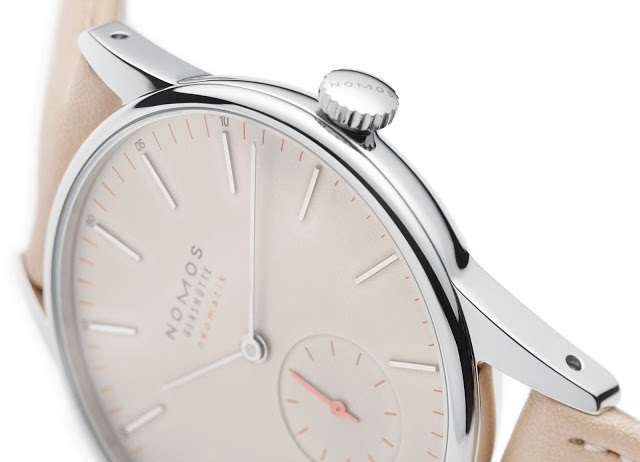 Nonetheless the dial is pleasing in its entirety, being much greater than the sum of its parts. 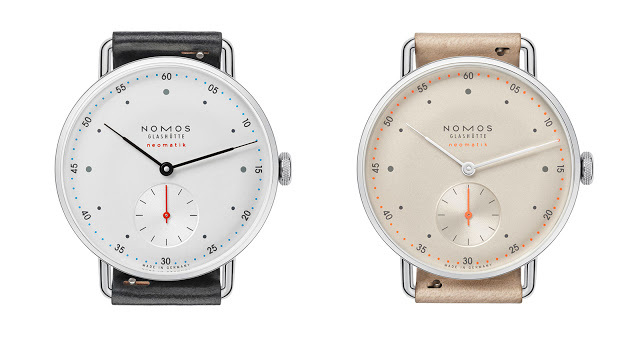 Despite the chronograph registers being positioned slightly below the halfway mark of the dial, the dial is well proportioned. 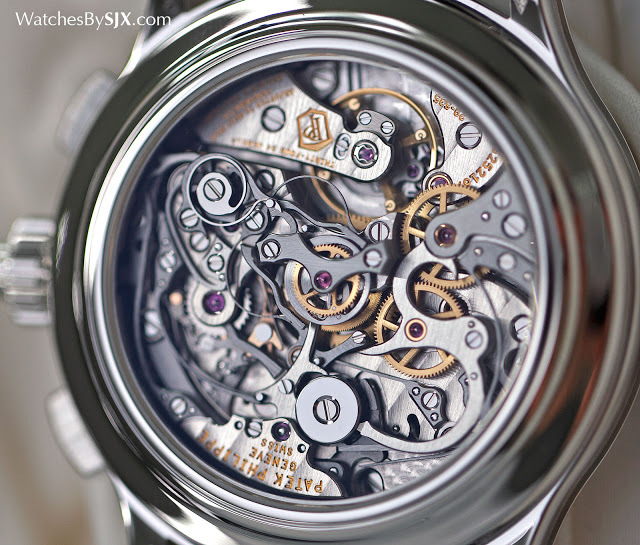 Tiny and initially not apparent, but the white gold sphere for the hour markers at four and eight go some way to keeping the balance of the dial. 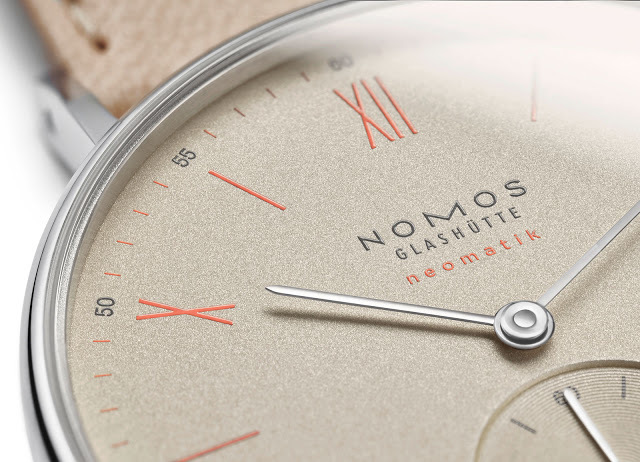 The case is platinum, and 41mm in diameter. 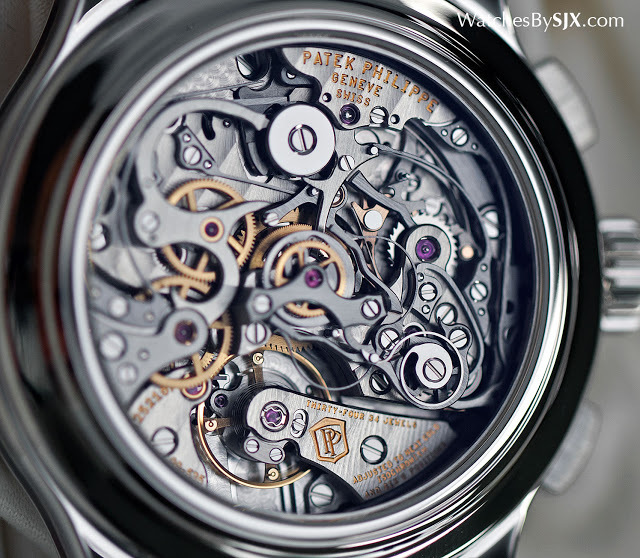 That makes it one of the larger watches in the contemporary Patek Philippe but it still manages to feel relatively small. 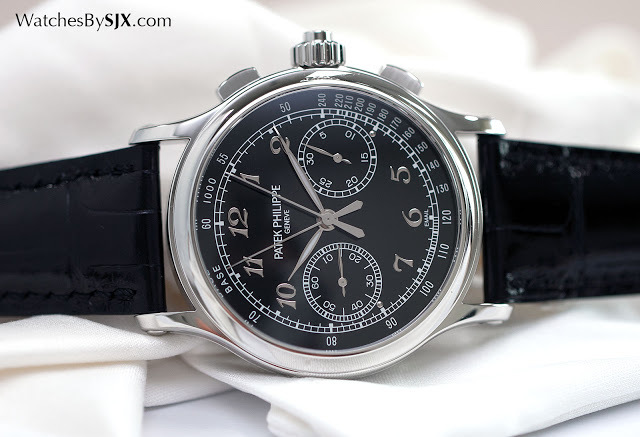 Typical of Patek Philippe watches, the case is slim, unlike its most obvious competitor, the mammoth Lange Double Split. 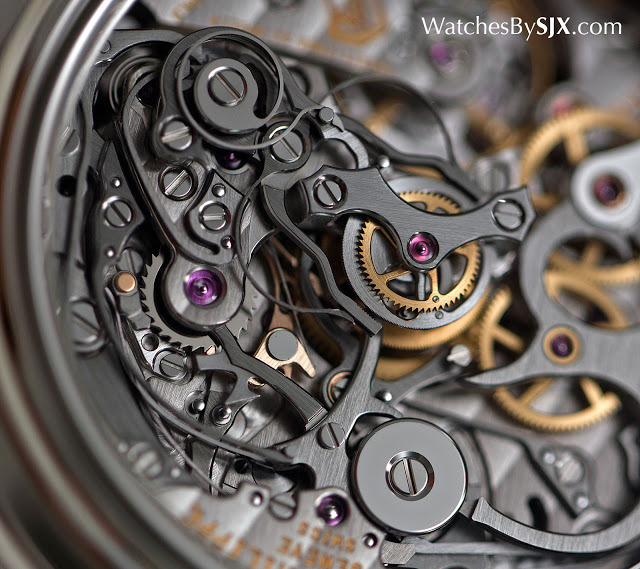 A notable detail is how wide the lugs are spaced, proportionately further than the typical Patek Philippe chronograph. 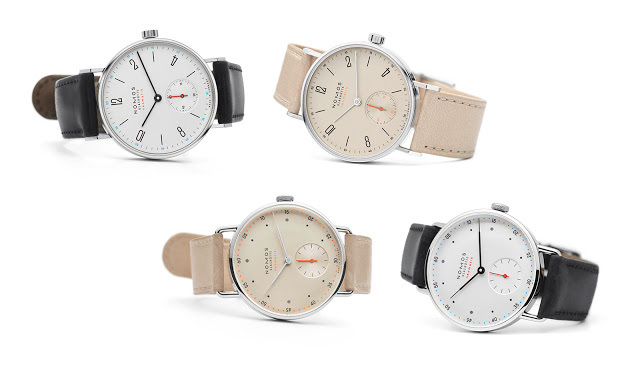 This gives the 5370P similar proportions to the brand’s chronographs of the 1930s, like the well-known references 130 (below) and 1436. 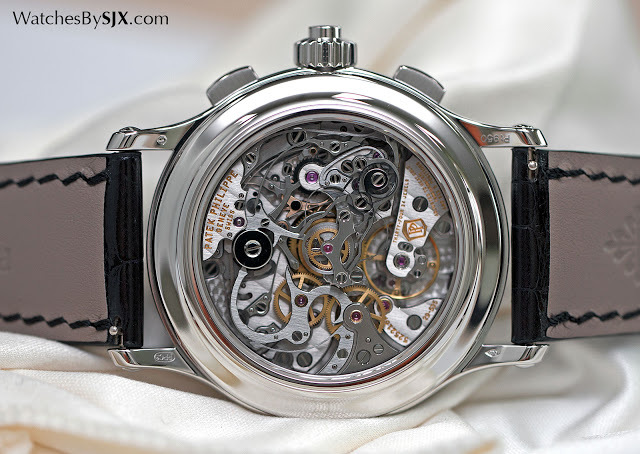 Plain at arm’s length, the case has some interesting details that are apparent up close. 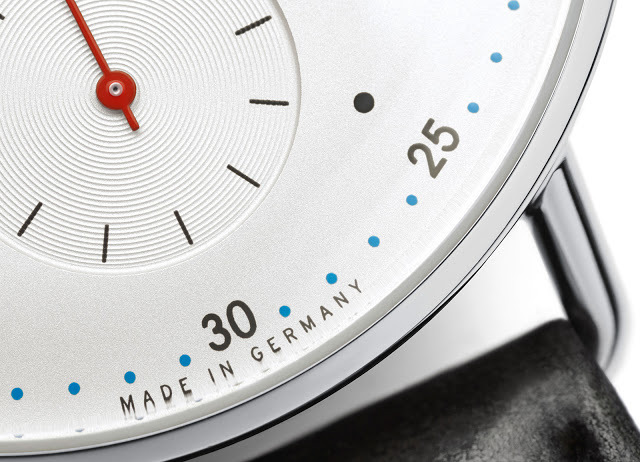 The bezel is concave and has a tiny step at its apex, both of which help to reduce its perceived diameter. 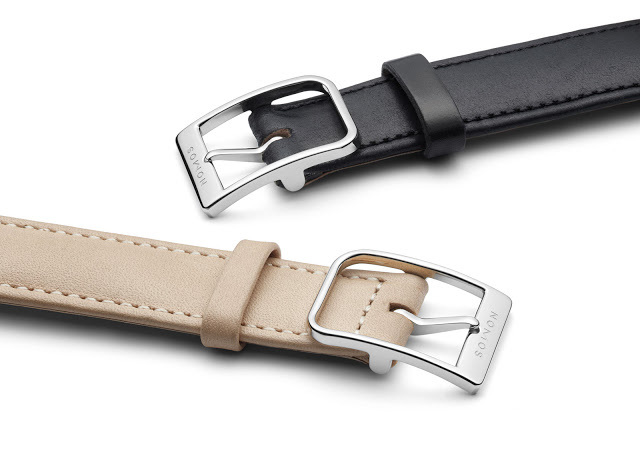 Both flanks of the case are recessed, with a brushed finish outlined with a mirror-polished border. 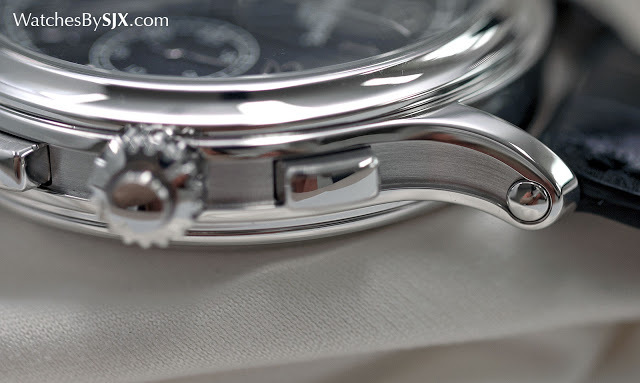 Each end culminates in white gold cabochons on the side of each lug (these are aesthetic and serve no purpose as the strap is secured by spring bars). 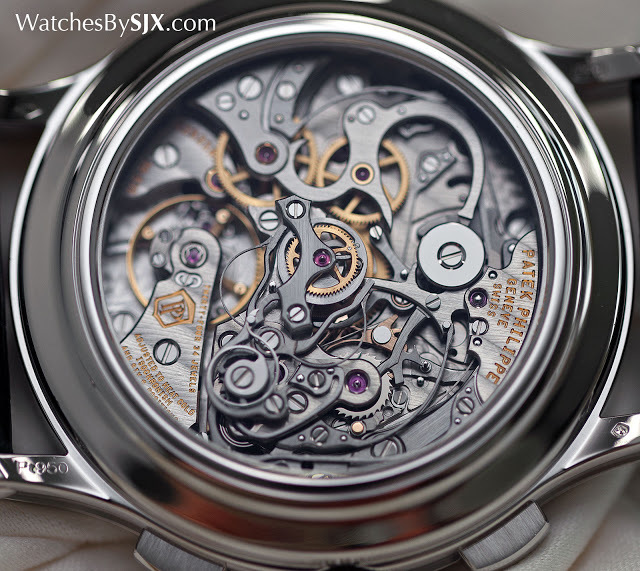 The best view remains that on the reverse; the movement is gorgeous. 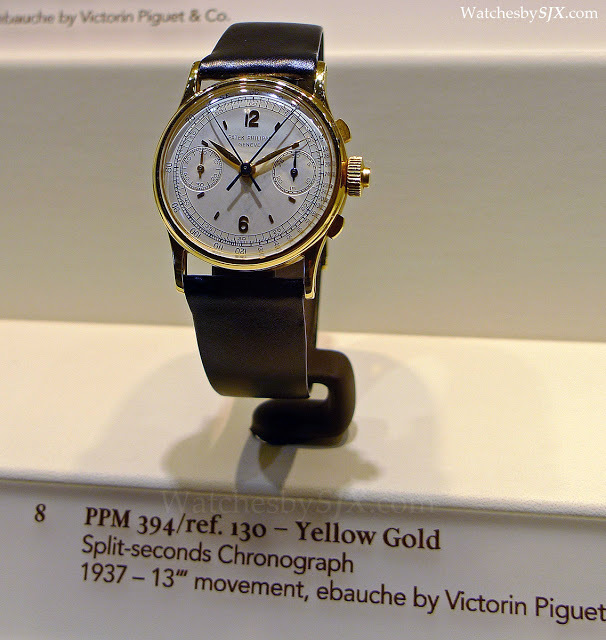 The 5370P is the first wristwatch to use the CHR 29-535 PS – “CHR” is short for chronographe rattrapante while the suffix “PS” means petit seconde. 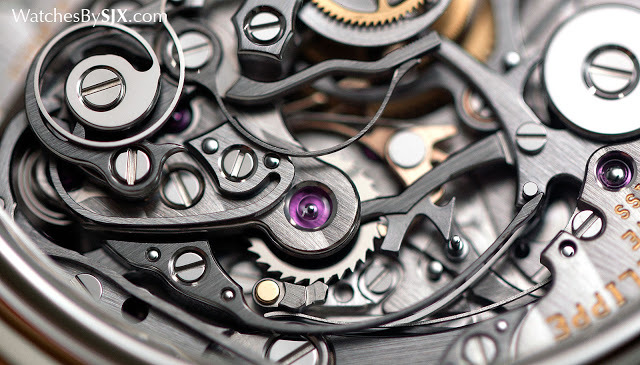 It’s essentially the same movement found in the basic 5170G chronograph, with the addition of a split-seconds mechanism. 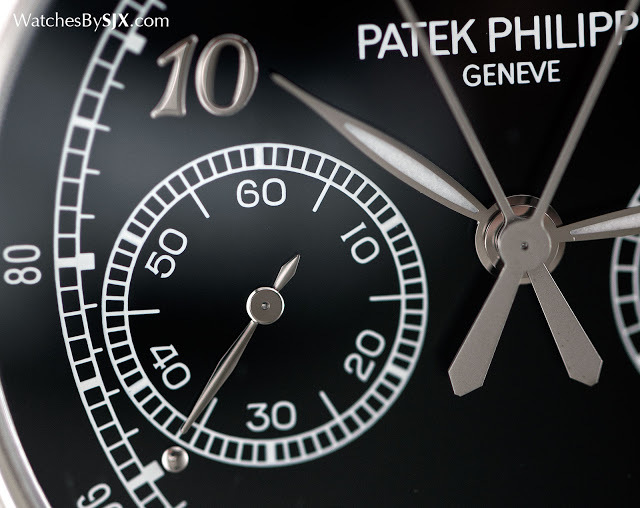 Having been first introduced in 2012, the movement features all of Patek Philippe’s innovations in chronograph construction, most notably a slimmer and more reliable split seconds mechanism. 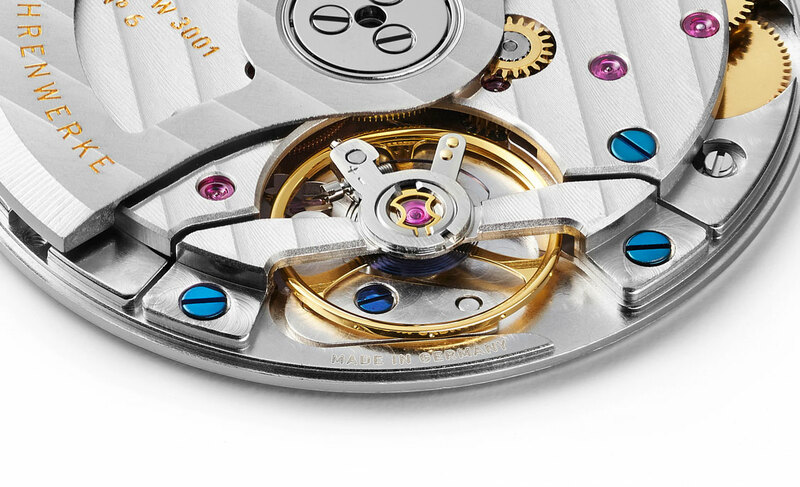 The movement stands 7.1mm high, compared with the 9.5mm of the Lange Double Split. 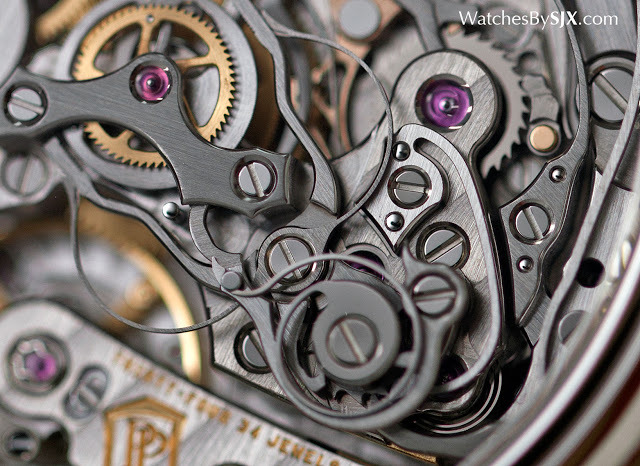 The rattrapante mechanism adds another dimension to the movement, giving it greater depth and a lot more to admire. 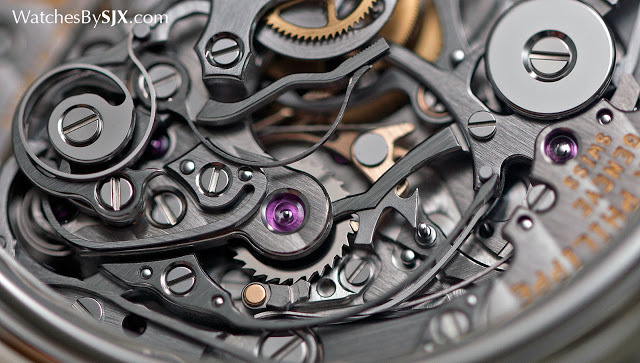 While the basic CH 29 chronograph movement can seem slightly flat compared to its great rival the Lange Datograph, the CHR 29 split-seconds acquits itself very well. 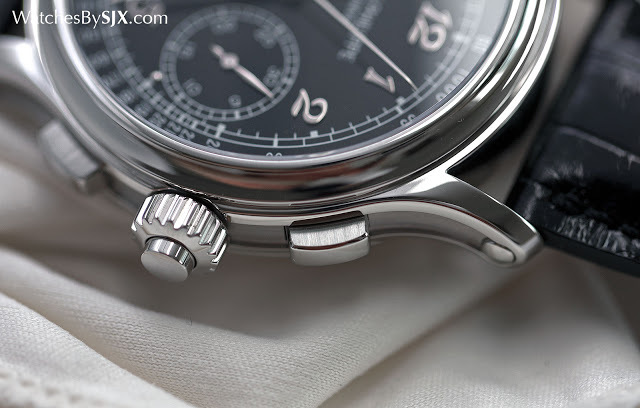 That being said, though it is recognisable as a split-seconds chronograph, the CHR 29 looks modern, being distinctly different from traditional movements. The shape of the bridge for the split-seconds is one giveaway, as is the novel swan neck isolator spring (the long, spiral-shaped component). 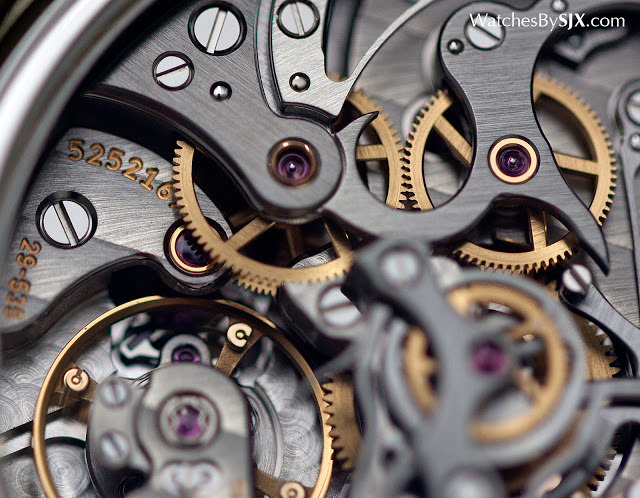 For comparison, a more traditionally constructed split-seconds can be found in the similarly recent Vacheron Constantin Harmony rattrapante. 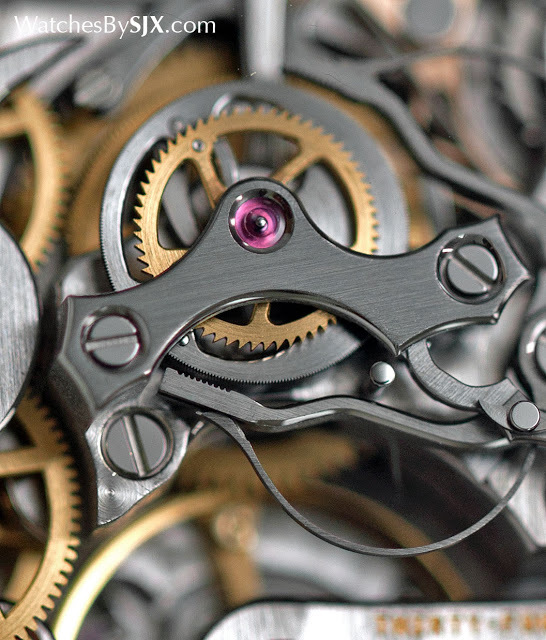 The finishing of the movement is superb, seemingly superior to that on the CH 29 movements in the reference 5370 chronograph with perpetual calendar for instance. 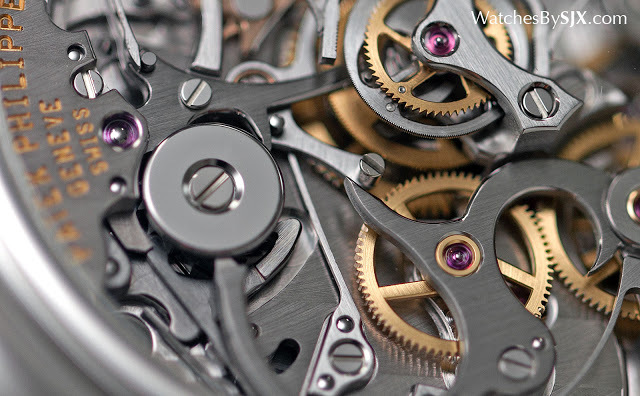 This is most evident in the split-seconds mechanism, in the countersinks for the jewels and screws for instance, or the bevelled edges of the steel parts. At this rarefied altitude the 5370P does not have numerous competitors. 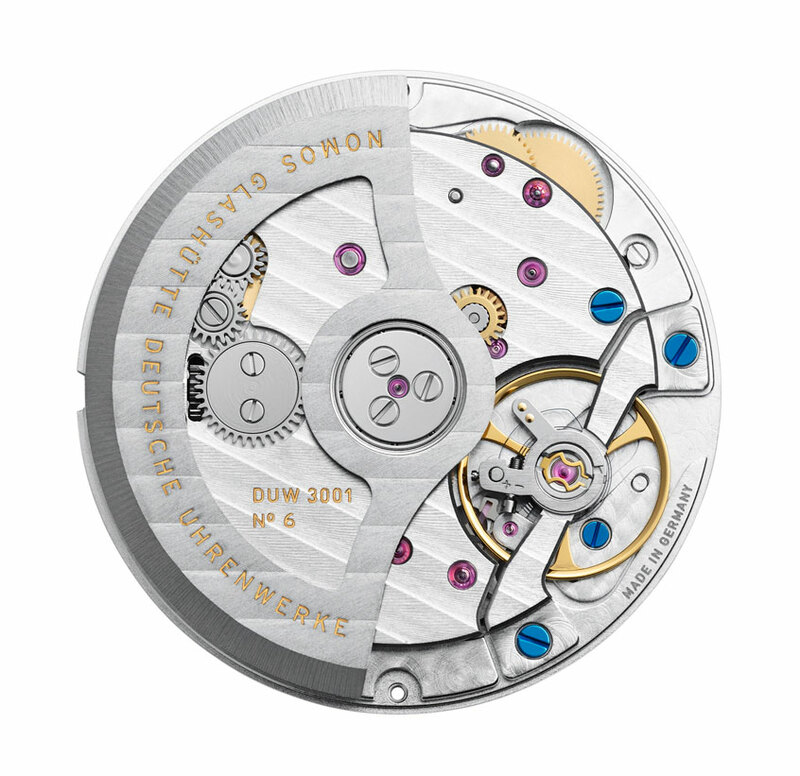 The most obvious is the Lange Double Split with an absolutely gorgeous movement, but it is large enough to be unwieldy on the wrist. It is however, priced very competitively, at about US$130,000. A more recent rival from Vacheron Constantin is the Harmony Ultra-Thin Grand Complication Chronograph only just introduced earlier this year. 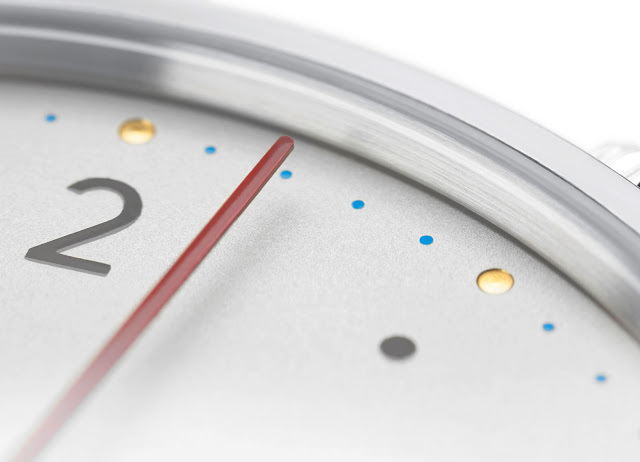 Self-winding and significantly slimmer than the 5370P, the Harmony split-seconds is more complicated, and also a quarter more expensive. 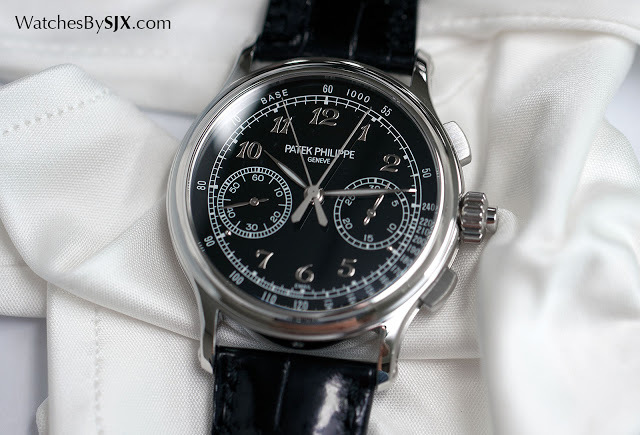 The Patek Philippe reference 5370P-001 is priced at SFr220,000 or S$382,500.